Size M length: 27 3/4"
WonderWORK was specifically created with the goal of meeting group needs. Extended and plus sizing along with an assortment of core colors that are well stocked ensure that WonderWORK can cater to any group. Active Twill has just raised the bar. 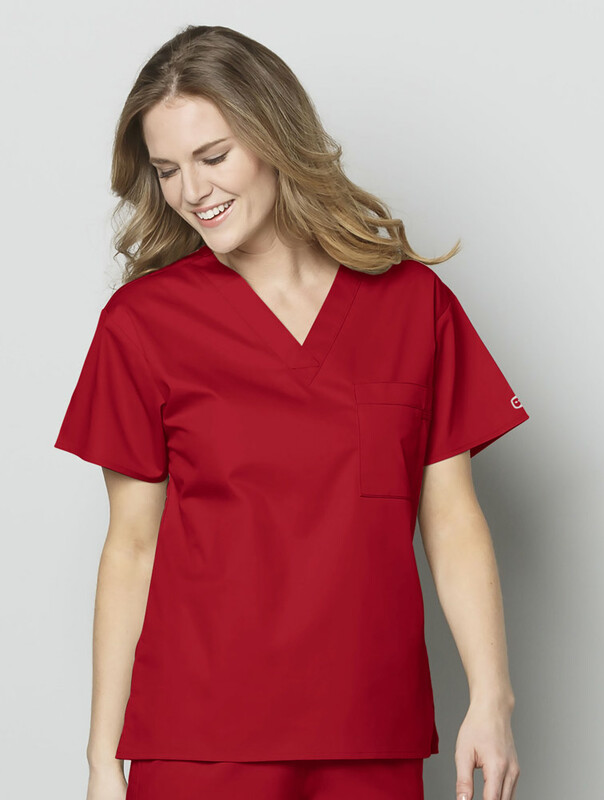 Using an industry favorite fabric blend, 65% Polyester/35% Cotton, performance has been enhanced by adding mechanical Motion Stretch without incorporating a spandex yarn. 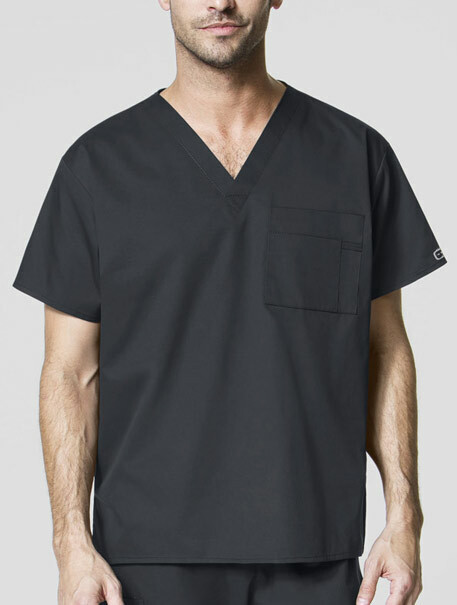 This provides the lasting durability of a Poly/Cotton blend, with the movement of a stretch fabric. Paying close attention to every fit detail, a new approach was used for fit by tailoring each size individually and in respect to the wearer. 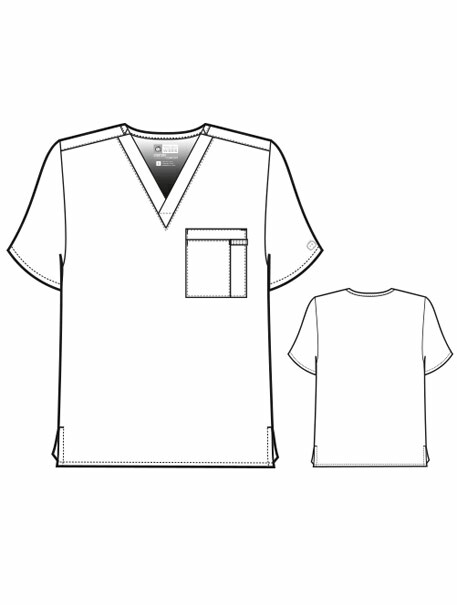 Plus sizing is designed and built specifically for a fuller figure. On all styles, slight shaping has been added where it flatters but still allows for the necessary ease resulting in a relaxed, modern fit. Flexible fit provides a full range of motion. WonderWORK styling remains polished without sacrificing function: utilitarian details provide storage for gadgets and gear while maintaining a clean, professional appearance. 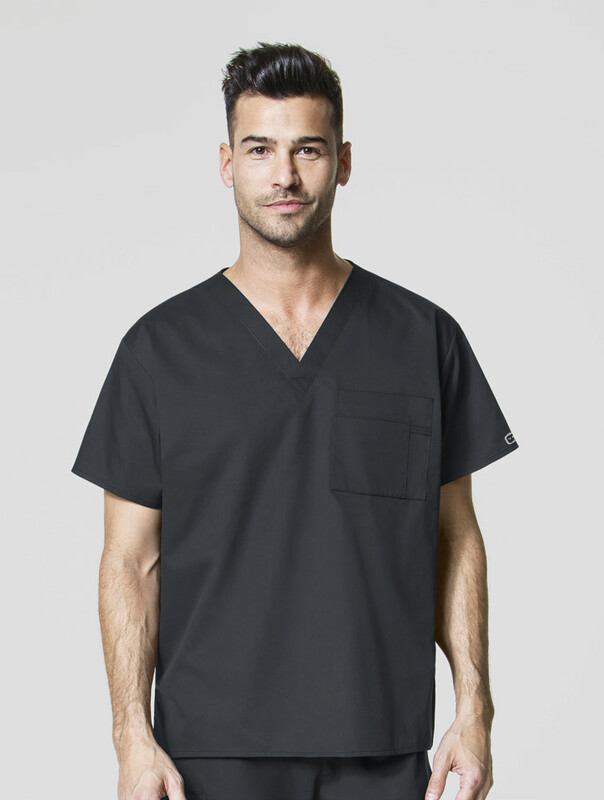 With the innovative fabric, fit, and styling, these everyday scrubs truly redefine Live-In Comfort.